A soldier of fortune gifted with an astonishing range of remarkable talents and skills that make him respected and feared in the secret world of mercenaries, spies and adventurers. A world inhabited by amazing men and women of fabulous abilities that most of us are unaware even exists. 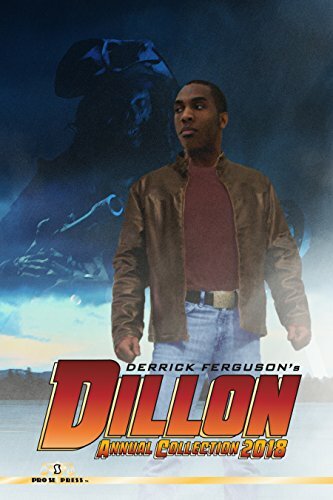 Fueled by a taste for excitement, driven by an overpowering desire to protect the innocent, see that wrongs are righted and assisted by a worldwide network of extraordinary men and women, all experts in their fields, DILLON spans the globe in a never-ending quest for the wildest and most breathtaking adventures of all. In this oversized omnibus of past adventures, Dillon faces new enemies, battles a phantom buccaneer on the shores of Xonira, runs a deadly jungle race against a criminal overlord, battles dangerous agents on a speeding train in an attempt to prevent a kidnapping and spends an unexpected wild night out with celebrity rocker SLY GANTLET, whose life offstage holds some surprising secrets. Pro Se proudly presents its debut of Derrick Ferguson's International Instigator in some of his wildest adventures in the first ever DILLON ANNUAL COLLECTION! Birdie and Goose live in a school for girls with behavioral problems. Birdie was sent there after her father and younger sister died. Goose keeps her past to herself. Birdie has nightmares of her dead sister and keeps mostly to herself at the school. Goose is the only one she considers a friend. Birdie sneaks out one night and finds a cemetery in the forest, and discovers a fairy and living teddy bear having a picnic. Suddenly attacked by evil Unseelie Fairies, Birdie destroys them in a fit of rage with magic that had lain dormant in her world, a power triggered by all the anger and resentment that has built up since her father and sister died. Both girls are taken to the Moon Queen, Isadora, who is intrigued by Birdie's powers. This leads to a number of quests, conspiracies, and battles. As Birdie grows in her abilities and rises through the ranks of this new world, Goose finds herself a Worm in the library, discovering powers all her own. The tumultuous paths the girls take lead to a great battle at the very doorstep of Queen Isadora's palace, and the outcome changes the lives of all the fae forever. 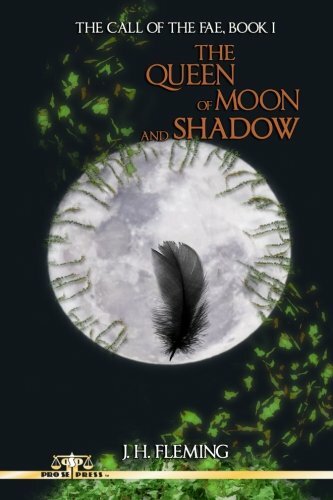 Also featuring MASTER OF ILLUSION, a second short story, JH Fleming’s THE QUEEN OF MOON AND SHADOW promises excitement, intrigue, and magic in every page. From Pro Se Productions. Jake Istenhegyi comes back home to the Odyssey Shop feeling for once that things were finally going his way. That should’ve been his first clue another shoe was about to drop. Probably attached to a foot kicking him in the face. He finds that the Odyssey Shop is under new management but they aren’t interested in continuing the Shop’s nefarious black market business. They are interested in only one thing- Finding Jake Istenhegyi and bleeding him dry. Literally. And they aren’t the only ones looking for him. There is a private detective from Los Angeles, a person he thought was lost to time, and an enemy in cahoots with the cabal. The P.I. wants to take him in on a murder rap; the other wants to start a new beginning. The enemy, knowing death isn’t an option, only wants to watch him suffer. In the final installment of Jake Istenhegyi, The Accidental Detective series, our hero, with the help of friends, living and dead, must find a way to tie up loose ends before the threads knit into a noose. 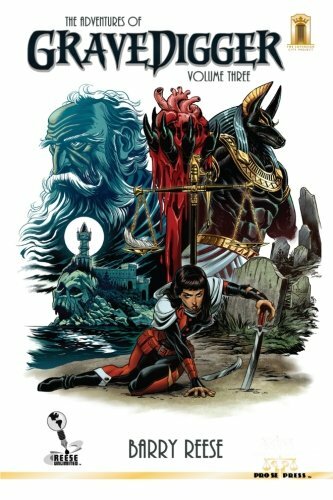 JAKE ISTENHEGYI: THE ACCIDENTAL DETECTIVE VOLUME II collects the final three tales of the world’s most unique occult detective, including Jake’s all new final adventure. Nikki Nelson-Hick’s fan favorite PI goes out with a supernatural bang. From Pro Se Productions. Charity Grace is running out of time. Three years ago, she was resurrected by the mysterious Voice. She became its agent of retribution on Earth, a masked vigilante known as Gravedigger. Now the time has come for her soul to be judged once more... but before that can happen, she and her allies must deal not only with the origins of The Voice but a mystery that may put the entire world at risk! From Award Winning New Pulp Author Barry Reese comes the third chapter in the literally death defying trilogy of The Adventures of Gravedigger. Creator of The Peregrine, Lazarus Gray, and more, Reese has crafted a heroine like no other in Charity Grace. 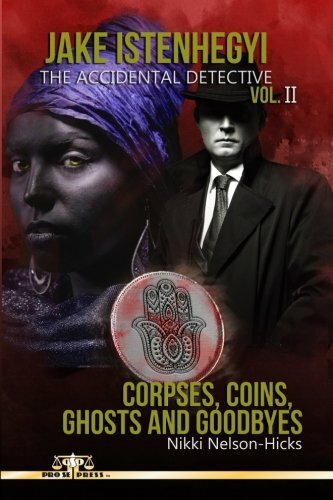 THE ADVENTURES OF GRAVEDIGGER VOLUME THREE From Reese Unlimited and Pro Se Productions. One of the most exciting periods in American History was that of the Wild West. Tales of gunfights and outlaws have captivated the imagination of readers since that era, but this period of lawlessness and excitement held particular sway over television viewers of the 1950s. Darkly shrouded outlaws became garishly dressed heroes when they leapt from their saddles to the small screen. 1950s WESTERN ROUNDUP returns to those celluloid days of a revised yesteryear, taking real outlaws and sanitizing them into good, mostly upstanding citizens! 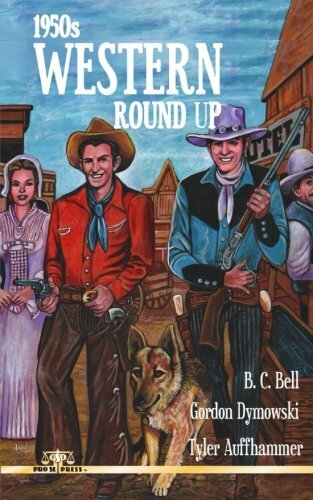 Relive this odd, yet important era in TV and Western fiction history as three of today’s best authors put tassels and morality on some of the baddest people to ever ride the range in 1950s WESTERN ROUNDUP! From Pro Se Productions. As the ancient evils from Europe, Asia, and Africa, planted their roots in the United States and her western territories, so also arrived those who had vowed to fight these abominations wherever they were discovered. Common outlaws and gunmen were no match for lawmen such as John Angel and his friend, Sam Walker, hard men who had spent many lifetimes seeking out and delivering swift justice to those unholy creatures that sought refuge away from the light of day. Vampires, Lycans, and those that practiced the 'dark arts'... all were very real and dealing with each came with its own set of rules. Federal Marshal John Angel searches for a Confederate general who had died a decade earlier, but who had recently been seen alive in Colorado. As he travels, Angel crosses paths with Texas Ranger Sam Walker on his own quest for a man named King who had been involved in the reanimation of dead outlaws. Both men travel separate trails, Angel’s leading him to a nest of vampires and a badge while Walker’s takes him up against an army of undead outlaws. Both men end up on a mission that brings them together again, a hunt for an ancient Chinese manuscript. A very evil book in the wrong hands. 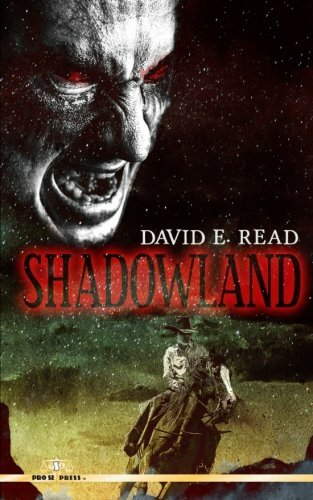 Author David E. Read takes the traditional western tale to a gothic level in SHADOWLAND, the first in a new horror western series from Pro Se Productions. Sometimes a woodcutter is just the sort of hero to take on magic and mystery in a frozen kingdom. Just ask Pierre Logback. 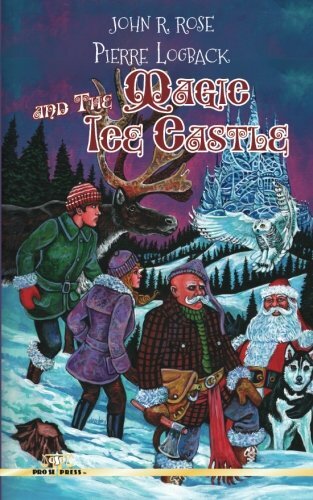 John R. Rose’s heroic man of the forest returns in PIERRE LOGBACK: THE MAGIC ICE CASTLE. Accompanied by Bobbijo and Jonalee, Pierre finds himself on a trek to discover the mystery behind a great castle of ice. On their journey, the trio, accompanied by Bobbijo’s reindeer, Turk, encounters creatures of all types, from Satyrs to faeries to even, once again, the ruler of the Kingdom of the North-Santa Claus himself. THE ADVENTURES OF PIERRE LOGBACK: THE MAGIC ICE CASTLE by John R. Rose continues the tales of one of the most unique heroes in fiction. Readers of all ages will follow Pierre and his companions on journeys that seem both familiar and like nothing they’ve ever read! From YoungPulp! and Pro Se Productions. A beautiful victim. An elusive criminal. A part time policeman. 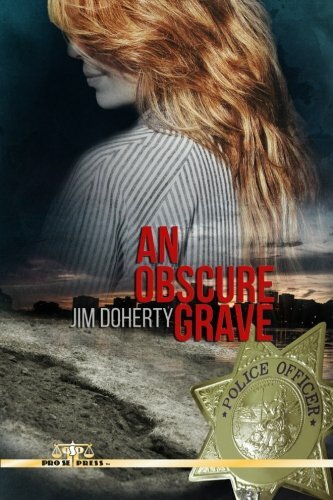 Three pieces of the mystery that is Jim Doherty's AN OBSCURE GRAVE. Dan Sullivan, UC Berkeley undergrad and part-time cop, is working the tip-line for a missing-persons case that is getting national attention. DeeDee Merryweather, beautiful Cal co-ed, has disappeared. The prevailing theory is that she's been abducted. But one of the tipsters, an anonymous caller claiming psychic powers, believes it's a murder, because, she says, she's sensed DeeDee's corpse buried in a makeshift tomb. If she's right, the Berkeley Police and the FBI are on the wrong track. But will a part-time reservist be able to put them on the right one that leads to DeeDee's obscure grave? And, from there, to her killer? Jim Doherty, author of JUST THE FACTS: TRUE TALES OF COPS AND CRIMINALS, crafts a challenging mystery within this spot on police procedural. AN OBSCURE GRAVE, his first novel, was a finalist for a CWA Debut Dagger Award, competing with hundreds of entries from all over the world. The only thing Andrew wanted was peace. Instead, he found love in the arms of Angela. She was the only woman he had ever met who loved him, even knowing his true nature. But peace was something he could never truly have. Within Andrew’s chest beat the heart of the Beast, full of rage. When the rage is awakened, a price must be paid. A price of blood and flesh. What does it mean to be a monster that can feel love? And what does the government want with the Beast so badly that it hunts Andrew and Angela around the world? Follow the story of Andrew and Angela’s horrifying journey from the dark streets of Memphis to the cold reaches of Alaska, from faraway places to deep within each other’s souls, seeking peace and freedom to love one another-if only the world would let them. 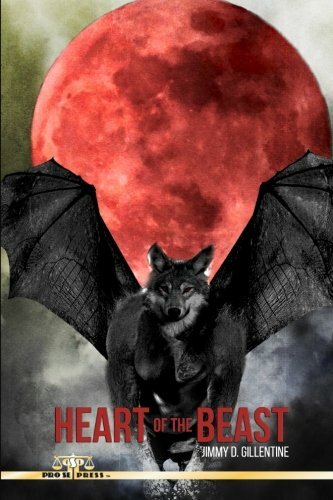 Pro Se Productions’ HEART OF THE BEAST collects author Jimmy D. Gillentine’s three novels of Beast, Beauty, and the redeeming power of love. This thrilling volume includes The Beast Within, Crossroads, and Blood of the Father, the third volume published here for the first time.